Precision manufactures each individual part of these modular steps, including Step Treads. 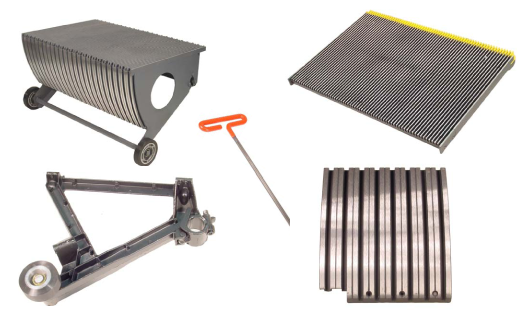 Step Treads have been engineered extensively for modular escalator units, with a multi-component step. These designs are incredibly durable step units that were implemented in demanding public transit environments. 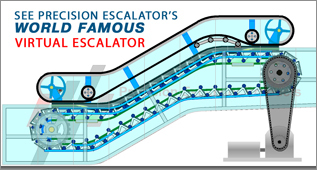 Ordering these components from Precision can keep your modular escalators running for years. Please see some of our product samples in the manufacturers section of this website. You can see many examples of the steps products that Precision manufactures and can supply to you. To better understand all our Steps Tread options available for your make and model units, we encourage you to call directly to speak to our Precision Expert Engineers. Broken, Chipped, and Cracked Treads are easily replaced by Precision with step treads specifically engineered for your make and model escalator. Each quality component we use to implement a complete steps product solution for you, will maximize your units uptime and help eliminate future updates.